At this year's San Diego Comic-Con (SDCC), Pixar held a Toy Story That Time Forgot panel moderated by famed compose, Michael Giacchino. Guests of the panel were treated to background storyboards, still images and even saw a sneak peek of the short along with images of the Battlesaur toys (which will be released this holiday season). 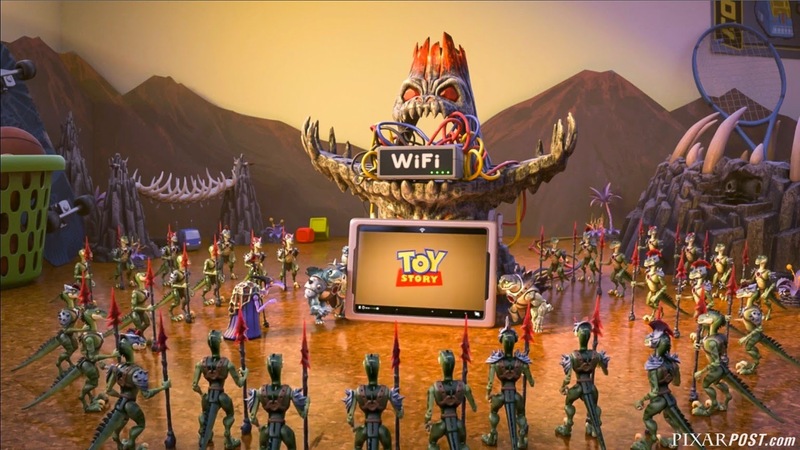 Although the half-hour television special isn't premiering until December 2, 2014, Sky (A UK-based media company which also released a Toy Story of TERROR! clip last year) has just released a hilarious commercial allowing us to get a glimpse at the "dangerously delusional" band of Battlesaurs. Be sure to watch the commercial which is uploaded on our PixarPost YouTube channel below. 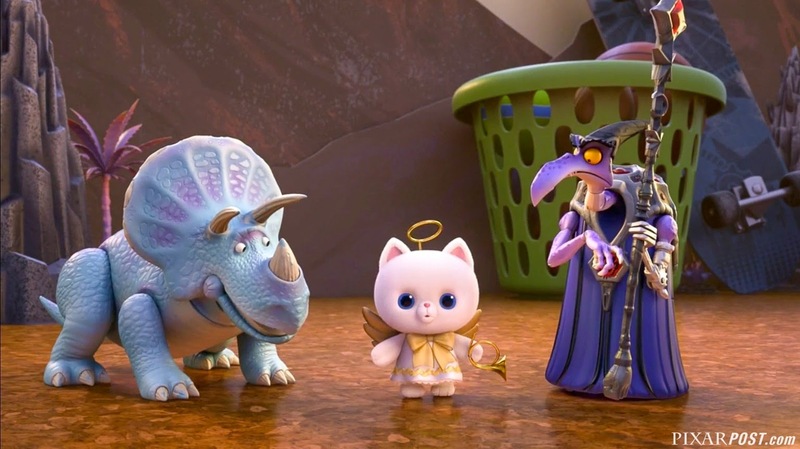 The hilarious fifty-one second commercial was directed by veteran television-spot and Partysaurus Rex director, Mark Walsh and we have to say that the character development by Steve Purcell-and-team is just brilliant - the Battlesaurs draw you in right away and make you want to see more. 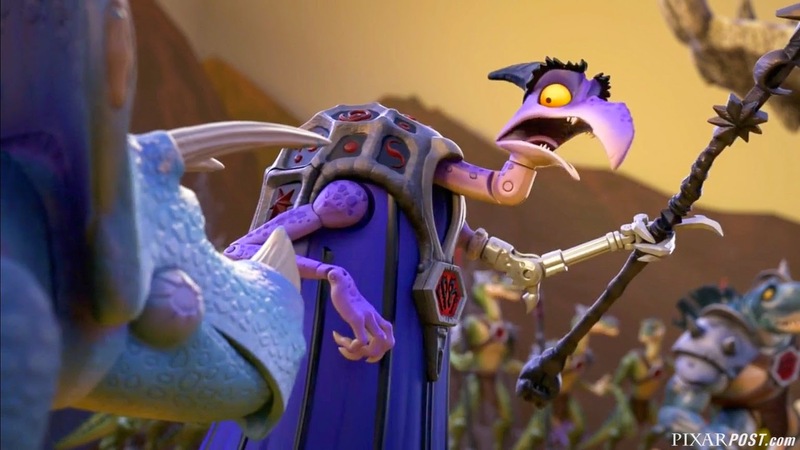 Speaking of Steve Purcell, not only is he the director of the half-hour special, but he also voices the hilarious and somewhat goofy, Cleric (pictured below). We've already watched the commercial six times and the humor comes across in more depth each viewing. 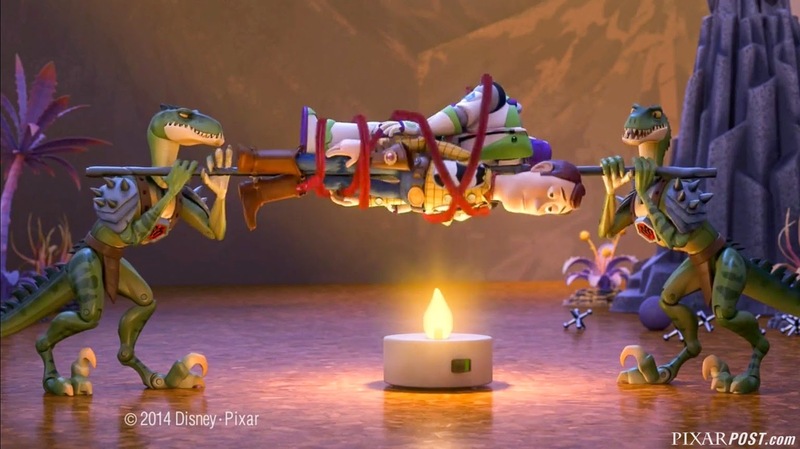 We particularly love the moments when the Cleric utters, "Alchemy", when Ray-Gon blows the dust off of the network cable and our favorite moment is when Buzz and Woody are tied (with a pipe cleaner) to a spit over an battery-operated candle - genius! 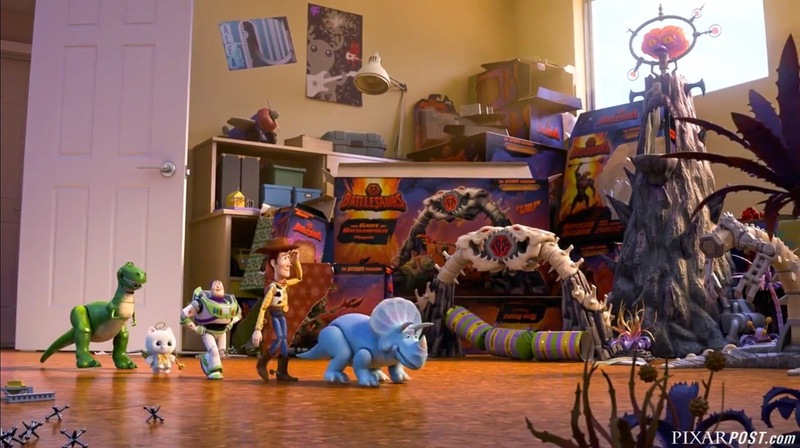 Additionally, since we know that the special takes place during a post-Chirstmas playdate, it was great to see the little details of the wrapping paper still on one of the Battlesaur boxes. View of the Battlesaur packaging & playset - who wouldn't want to own this? During a post-Christmas play date, the Toy Story gang find themselves in uncharted territory when the coolest set of action figures ever turn out to be dangerously delusional. It’s all up to Trixie, the triceratops, if the gang hopes to return to Bonnie’s room. What are your thoughts now that you've had a chance to see the Battlesaurs in action? To get caught up on all the details (plot, vocal cast, story development and more) regarding Toy Story That Time Forgot, be sure to check out the related posts below. 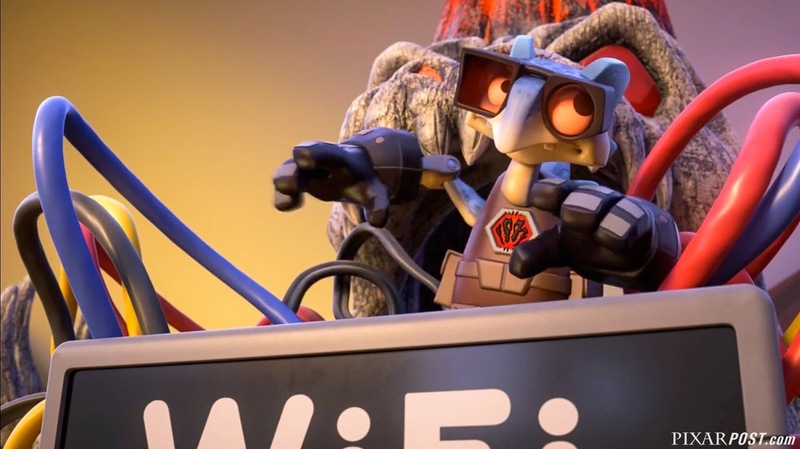 Also, be sure to join us in the Pixar Post Forum to chat more about the upcoming special. Thanks for the heads up from our reader Max den Hartog!